Soundsaber is a music-driven twin-stick shooter. Players can choose any music from their own collection, which the game will analyse and play back during gameplay. The player's music shapes the gameplay in fundamental ways, affecting the player's weapon, enemy movement, spawning and more. Whenever the game detects a transition in the music, the gameplay will transition appropriately. Soundsaber will allow users to put their entire music collection into the game, which will be used to generate a world made up of their own music. In this world, each song will be an individual level. Beating a level will unlock adjacent levels as well as various rewards allowing the player to customize and improve their character. Soundsaber is currently in active development. Early, pre-alpha builds are currently available for sale here. Players who purchase the game at this time will receive access to the current build as well as all future builds up to and including the final release of the game on Steam, slated for early 2016. The price for the early pre-Alpha build is significantly cheaper than the price of the final release. The price of the game will increase as the game approaches completion. If you like what you see, the best thing you can do is buy it now. 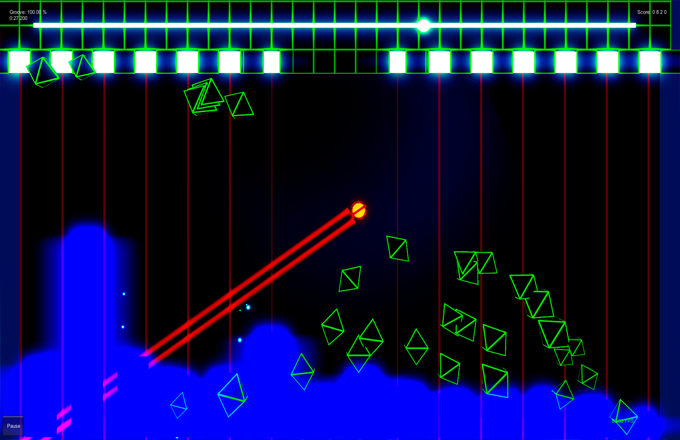 Not only will you get the game at a reduced price, you will also help support the development of Soundsaber. The team behind Soundsaber is currently looking for additional members. If you are passionate about music games, have 3+ years of experience making games and would like to partner with us to work on Soundsaber full time, please contact us. We are currently looking for an artist and a business/marketing expert. Being located in Montreal is a plus, but not mandatory.